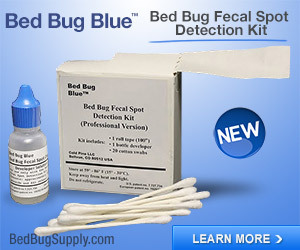 FAQ: how do I deal with bed bugs in clothes during treatment? This is an old FAQ, from November 2006. Some more recent data has changed our recommendations for how to deal with laundry. Some pest management professionals no longer require most customers to treat all their clothing; if your PCO doesn’t require it, I am not sure I would bother. Other information below is still relevant. I’ve crossed out some of it, which is superseded by this FAQ on drying clothing. Please read what’s below, but go to the dryer FAQ to get the most up to date information on laundry. And the news is good: studies have shown it is not as hard to kill bed bugs in clothes (or to kill bed bug eggs) as we used to think. Many experts feel that that you need to wash and then dry all clothing, bedding and other items on hot for a very long time. You then need to seal them in airtight bags. Space bags, sealed properly, can be airtight but must be treated and stored with care. Ziploc XLs and XXLs (from Target, Home Depot, Drugstore.com) work well for sealing and re-sealing, but sometimes come open without warning. Some prefer 2 gallon ziplocs with individual outfits inside. Superthick 3mm lawn trash bags are very strong, and can be used with cable ties (from a hardware store) to provide an airtight seal. But do not use normal garbage bags and twist ties. They will not be airtight. Rubbermaid type plastic boxes and dry cleaners’ bags are also not airtight. After this writing, it became well known based on expert research that drying items on hot alone is sufficient to kill all life stages of bed bugs in clothes and other fabrics. Note that tests were done on clean, dry socks, in which bed bugs were killed in 5 minutes. Since thicker items may take longer, I hear a general recommendation of 20 minutes or so (some say 30) on hot, if starting with clean, dry items. For more on various options, including using a washer only for those without access to a dryer, see this FAQ. Some of us like to use long term solutions to store most things (bagged with cable ties or space bags) and then keep washing and using a few days’ worth in ziplocs. But it depends largely on what your lifestyle is like and how spartan you can be. How long to dry? I dry items for an hour. Others do 2 hours (which I don’t because I assume it will ruin stuff!) In any case, you should dry on hot until the item is bone dry, really hot and dry. And then do 20 minutes MORE. That’s my theory. No one has verified exactly how long it will take. And don’t believe anyone who tells you they know for sure– there is a lot of misinformation out there that people claim is correct about bed bugs. I’ve seen a document provided by the Australian government online which says temps below 48F or above 96F kill bedbugs and this is absolutely NOT true. Even seemingly reliable sources are often incorrect about how to deal with bed bugs–because remember, they are “new” to most western and northern countries after not being around much for decades. So my advice is conservative: an hour will probably do most cloth items. 20 minutes after the thing is totally dry is safer. 2 hours is most conservative. Be cautious with thick items, like comforters, pillows, down jackets. Even if you dry these on hot for a long time (as above) or dry clean them, be aware that it may be harder to eradicate bed bugs from these. If you are trying to save an expensive comforter, down jacket, etc. then have it cleaned as above, but be aware that we’ve had one reader, S., who believes a comforter came out of dry cleaning, and harbored bed bugs which emerged 6 months later. There’s no way she can know for sure that this happened, but it really appears to be the case. Perhaps the dry cleaning was done improperly. Or perhaps the dry cleaner did not keep it separate from someone else’s infested stuff (good reason to come clean with your cleaners!) It is also possible that drying and dry cleaning thicker, denser items is just harder. The best thing is to be aware of this possibility. Better you discover this right after eliminating your infestation, rather than 6 months later when you pull the item out of storage, as S. did. Ziplocs in the living room as soon as I come in the door at night. Towels are hung to dry, then put in the “dirty” Ziplocs. I opted not to isolate my bed, so sheets are changed 2x/week. sealed in Ziplocs and Rubbermaid containers in the garage. these bags, and it’s a pain to vacuum! To post a comment or add a suggestion or your alternate way of dealing with clothing and linens, please click “comments” and leave a response. To see or purchase XL ziplocs, 2 gallon ziplocs, and other products recommended by Bedbuggers, click here. Please read our Disclosure Policy. About dryers–according to what I heard at the bedbug conference, it doesn’t take long in a very hot dryer for mature bedbugs and nymphs to be killed, but it takes much longer to make sure you kill the eggs. So absolutely use the dryer. What I do (if you have it) is set the dryer on high heat for as long as I feel I need to kill the eggs and then run a “cool down” cycle after that. It really cuts back on wrinkles. My laundromat’s dryer has an automatic cool down option I can select. Once the eggs are killed, it doesn’t matter what temperature the dryer is. About comforters–I covered my comforter in a sealed mite-proof cover and so I am not washing it for more than a year. Except for the fact that eggs can be laid on the fabric, I’m pretty “comfortable” (pun intended) with that. I put an XXXL ziplock back standing up inside my laundry basket. I use it as a “laundry basket inside a laundry basket” and reseal it everytime I deposit laundry, checking that it is still air-tight. That cuts down on some clutter, to just have one “outgoing” laundry-ziplock. I group clothes by type in smaller ziplock bags and put the bags right into my bureau drawers. I stopped using comforters and quilts; I bought a washable blanket from Target. Now, it is supposed to be washed on cold. But like all other laundering directions, I flout that one! It is not thrilled to be washed and dried on hot, but it has held up (even if it got a little hard in one area, and smells a bit odd after I dry it for 49 minutes…). It isn’t the nicest thing in the world, but I can toss it in with the sheets every few days and I don’t have to think about anything taking up residence in it. So how long do you feel you need to dry on hot in order to kill the eggs? I have no clue on this. I’ve been drying things on hot until they’re dry, which is anywhere from 35-40 minutes, and then I usually let it go on another 5-10 mins for good measure. If you have the space, is it ok to just put soft stuff in an airtight bag, then outside in below freezing to smother/freeze the buggers? RC, it can take a long time to smother the bugs. We don’t know exactly how long. As far as freezing temps, just to be on the safe side, I wouldmake sure they were freezing (check), consistently (check), 24/7, for 2 weeks. That’s me. It might not take that long. We just can’t be exactly sure how long they live or if fluctuating temperatures might prolong that. If I were going to rent a subzero storage I’d do two weeks, so a freezing environment is the same idea. What is the best way to take care of delicate garments that are not usually dry cleaned? I don’t think these items are in the “zone of doom” but I don’t want to take any chances so I’m washing eveything I own. I have many items and undergarments that are washed in the gentle cyle and air dryed but dry cleaning will get quite expensive. If anyone has any suggestions that would be great. Also, does freezing really help? I’m reading conflicting reports. It would be best if we knew the extent of your troubles. Are you in the beginning stages of bedbugs, or have you had a treatment by a PCO? In any case, it’s best to wash on hot and dry on hot, if you can, and to dry clean items that can’t be washed. 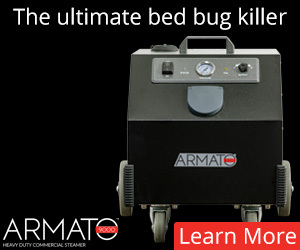 I know it might get expensive, but it’s your safest bet if you have bedbugs and unprotected clothing. Please check out our FAQs and visit the Forums- you can ask questions and get answers from veteran bedbuggers there, too. Thanks for your response. We are at the beginning stages. Just trapped our first bed bug this week and are interviewing PCO’s at the moment. They’re not visible but we really don’t know the extent yet. Unfortunately, it’s up to our landlord who he hires so that can be a scary thought. We just want to do all we can. I’ve heard of a store product that allows you to “dry clean” in your home dryer. Does anyone know if this method works? Does it get hot enough to kill the bugs but protect the clothing? Here’s what I do: I wash the delicates on delicate, then let them air dry on a clothesline, and then, when they are dry, I put them in the dryer on HOT for 60 minutes, just like I do with my other things, excpet regular clothes get put in the dryer imemdiately after the wash. This works well for most of my delicate items. Once they are dry, they can tolerate the high heat that would otherwise have damaged the delicate textile fibres (if you subject wet textiles to prolonged extreme heat it will inevitably cause damage to the the fibres). This won’t work for every item, of course. If you have something that really just can’t go into a super hot dryer, then bag it, freeze it, or put it aside in its bag for 2 years. In such cases, I personally opt for the latter as the most secure route, as in all the research I’ve been doing for years now on this question, there is simply no consensus on how long items need to be frozen in order to kill the BB eggs. Dr. Michael Potter says that clothing need only be dried on hot for five minutes if it is already dry. I’d do 20, to be safe (that’s me), and I emphasize this is for dry items. For wet items, I do them until they’re bone dry (which can be over an hour on hot), and then 5-20 minutes more. I agree freezing is a bit iffy, though at sub-zero temperatures, a couple of weeks should be very secure. People may be able to rent sub-zero freezer space. Many home freezers are much warmer than that, so it does not work. People have left things outside in the snow and claimed it did not work. 2 years in a bag is probably ideal but really hard to manage, esp. in urban areas, apartments, etc. That’s interesting about the snow not being cold enough. But when you think about it, snow can actually work as an insulator–that’s what igloos are made of (along with ice). Thanks for that link to the clothes-drying page. As I look at all of this, and with my wardrobe, i would say, if i did all of that to my clothing i might as well set it all on fire and walk away. It will destroy my clothing. Please don’t despair, Ru. The first step is to identify what is biting you. You will sort out the rest later. Hi Ru … You can try wrapping some delicates loosely in a pillowcase, before drying on hot for about 20 minutes. … The line dry first, comment above, re saving the fibers that way by line- drying–sounds promising. As far as comforters and heavy winter coats go … I’ve seen too many problems others have reported. I tossed mine, got a lot of those cheap, fleece blankets and, well … sometimes we gotta do what we gotta do. I have little room so yes … I even tossed my fave comforter away. Personally, I do not trust the average dry cleaning process–I just don’t know if the cleaner will get everything. Sometimes … some unscrupulous cleaners really skip corners. (pun, yes but sometimes it’s true). PS I wish more would report back here and tell the tale of woe on what happened to their delicates. it iwll not only make you feel better but it iwll give us all better clues, as to what may or may not work. I doubt 5-20 minutes drying a dry item on hot will ruin your clothing. 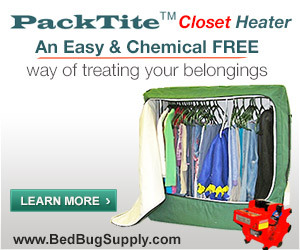 Bed bugs can be gotten rid of, and not treating your clothing makes this difficult. As Nomo says, verify whether you have bed bugs. If so, there are solutions that will work. I haven’t personally confronted the clothing issue yet, but will have to. But — I am a glycerin evangelist. A few years ago I came across info on new glycerin research, and have been using it for my psoriasis and other inflammations ever since. For bb-bites: Pure USP glycerin kills itching in about 10 minutes, and brings down welts in about an hour. It is a natural anti-inflammatory — and is cheap, to boot! Accelerates all healing processes, btw. 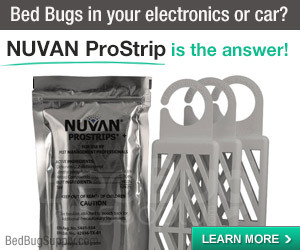 Can also be used in cups for bed legs; as a powerful dessicant, it instantly dehydrates and kills any insects, including bed bugs, that contact it. Here’s where the clothing possibility suggests itself to me: obtain enough glycerin to wet your clothing, then rinse and dry. As mentioned, I have tested it on bbugs, and contact seems to dry-kill them instantly; I assume the result would be the same for eggs. Rinsing well should clear out the glycerin, since it mixes aggressively with water. Data: 3-carbon alcohol, non-volatile, non-toxic, trans-dermal transport agent, mild laxative (50/50 water, 2 tsp ea. ), topical disinfectant (instantly dries out & kills surface bacteria). Used as endurance food supplement by some long distance runners. Don’t stay home without it! I JUST RECENTLY DISCOVERED I HAD BBUGS IN MY APARTMENT. MY SON HAD BEEN BITTEN ALL THRU THE SUMMER AND I THOUGHT THE BITES WERE FROM MOSQUITOES. THEN MY OTHER SON AND I STARTED GETTING BIT ALSO AND THATS WHEN I WENT TO YOUR WEBSITE AND FOUND OUT THAT THEY WERE DEFINATELY BB BITES. I LIVE IN A PRETTY BIG APARTMENT AND SOME OF THE THINGS YOU SUGGEST TO DO ARE SORT OF IMPRACTICAL LIKE PUTTING ALL OF OUR CLOTHES IN BIG ZIP LOCK BAGS. I HAVE VERY LARGE CLOSETS WITH COATS AND BOXES (VERY NEATLY STORED) IN THEM. COULDNT I JUST SPRAY SOMETHING IN THERE? I HAVE BEEN USINR RAID AND IT DOES KEEP THEM AWAY AT NIGHT. IVE ALSO CAUGHT A FEW OF THEM AND SPRAYED RAID ON THEM AND IT KILLED THEM DEAD. IS IT HARDER TO KILL THE EGGS? IM PLANNING TO NOTIFY MY LANDLORD BUT IM WORRIED HE MIGHT BLAME ME. I DONT KNOW HOW THEY GOT INTO MY APT. IVE BEEN HERE 12 YEARS AND NEVER HED A OEST PROBLEM. You must not worry about the landlord blaming you. While you may have brought bed bugs into the building, it could as likely have been someone else–a neighbor. Others may have bed bugs too EVEN IF they have not noticed them yet. Many people are not allergic to the bites like you and your family are. The landlord must be notified and all apartments on every side, above, and below, must all be searched by a professional pest control operator (PCO). You need to get them in right away. Raid will not do it, and self-treatment will not likely be enough. It sounds like a significant infeastation, if you have caught and seen them. But many will be hiding and impossible to catch or spray directly. I know washing and bagging clothes is a hassle–I live in apt. too (in fact, I’d venture that most people here do, many of them in cramped NYC apartments). We don’t recommend this lightly–it is important. The PCO should give you instructions. Our other FAQs may help (click the FAQs button at top). You can also come to the FORUMS to ask questions (click the forums button–top right). But please read the FAQs first since your questions may be covered there. SO YOURE SAYING THAT BECAUSE IVE SEEN THEM (IVE CAUGHT 7 SO FAR AN A CONTAINER) THERE COULD BE HUNDREDS OF THEM. OMG PLEASE DONT TELL ME THIS. IVE ALSO BEEN NOTICING DISCARDED MATTRESSES PUT OUT FOR REMOVAL LATELY. THANK U FOR YOUR REPLY . I WILL TAKE YOUR ADVICE. ITS CRAZY HOW THESE LITTLE BUGS CAN JUST UPSET YOUR LIFE LIKE THIS. Yes, Evelyn, I am sorry. I know it is a shock. But it can be treated. You need the landlord to take action. Read the FAQs and come to the FORUMS if you have more questions for us. Yes, they could be in your walls, furniture, electrical fixtures or sockets, upholstry, etc. An each female lays hundreds of eggs. One of the problems with trying to self-treat is that you may successfully push them away from your immediate area for a little while, but that just causes them to disperse and come back stronger than ever. BTW, the comment someone made about them getting aggressive (“ballsy”) when hungry is true, even to the extent of climbing to the ceiling and dropping down your CO2 air column to land on you. I’ve seen a couple that missed and landed on the pages of books I was reading, e.g. Puzzled the hell out of me, I can tell you. Just for good measure, when I am washing towels, sheets, even some scrubby pants and blouses, I throw 1/2 cup of bleach into the washing machine. does this work? Don’t know, of course, but bleach will kill a lot of things. 1. SHOES — leather/ non washable shoes- do I just bag them up or how do I clean them if they have been laying around on the floor? 2. BOOKS and RECORDS— me and my room mate have many- can I just bag them up in heavy duty plastic bags and boxes while the exterminator comes or do I have to shake the out one by one or something in case there are bugs inside? 3. if I wash clothes and then bring them back and put them in a plastic container on a table that is bug-free does that work or do they all need to be completely airtight? 4. DRY CLEANING — does anyone have a suggestion for a place I can take all of my stuff in Manhattan that will do it well (inc. sweaters, down pillows and cover, etc) I am ok paying to do it but I just need to be 100% sure its clean when I get it back. also, any other odd suggestions for a first timer here? No one is really telling me what to do and the list we got from the PCO is kind of vague. THANKS! I really need suggestions with this one. I started having problems with insect bites last January, 2007 when I moved into a rented house in Metairie, LA (Metairie is an unincorporated city/suburb of New Orleans). I started getting large welts with pustules on the top – very much like a bite I received several years ago from a wolf spider. I did all of the erroneous things I’ve read about on these forums trying to treat the problem. Finally, I moved out of that house into a home I purchased in an area of metro New Orleans called “the North Shore.” I continued to get bitten. Because I moved from MI to LA the bugs here are completely new to me (huge roaches, mosquitoes the size of bombers, etc.) and I was told that the bites were probably from red ants. No, no colonies of red ants . . . I have had 2 Pest Control firms provide elimination services, the first sprayed on 3 separate occasions and I continued getting bitten. (I understand that the industry professionals call this method “Spray & Pray.”) I’d never found any adult bugs, and because my dogs sleep in the bed with me, the first PCO believed that further treatment would be ineffectual (too much dirt from the dogs to clearly identify bed bug activity). PCO no. 1 then recommended that I contact a “large” pest control service; and at just about the same time I found an adult bb which I showed to the “new” PCO (no. 2) who clearly id’d it as a bb. The service I researched and ended up using is the only one certified by the state of LA for bed bug treatment in SouthEast Louisiana. Last Sat. (12/22) they treated the entire house ( to the tune of $1200.00) with both spray and powder behind all the pics, light plates, electric outlet plates, crown molding, etc. The main thrust of the treatment, however, was the steam machine with which they treated my all upholstered furniture including Q-sized pillow-top mattress and box springs; also, I specifically asked them to spray the drawers of all the dressers in my bedroom before returning clothes to them. While the house was getting treated, I hired two cleaning people (as I am handicapped and cannot handle big loads of laundry, etc) to take ALL of the material things in my house – ALL — to the Laundromat and run them on high heat for 20 min. minimum. (Yes, they did reuse the same bags as those in which they originally transported them to the Laundromat). I bagged up shoes and books placing them in sealed bags on the back porch, but of course it never gets cold enough here to freeze-kill them and it hasn’t been hot (like it usually is) because we’re in the winter season. High temps are sometimes in the mid-70’s (F), but any time other than Dec, Jan, and Feb, it is so hot here anything left in my car would die as it must get up over 140 degrees (F) daily. (I remote start the ac most days before entering my car). I have been wearing long sleeves and leggings to bed since the treatment hoping to localize any new bites onto my hands or neck where I can readily identify them (My handicap prevents me from reaching the full length of my legs or twisting easily to see my back in a mirror). I thought, since I was bite free, that it was safe to start filling the dressers again so I started sorting clothes on the futon for clean/dirty to wash. There was one “milk crate” which was untreated by the spray which I used to collect my dirty clothes which I have subsequently sorted into the correct “type” pile on the futon (staging area) to get washed. Since carrying that crate and starting to wash clothes (also sitting in the upholstered computer chair that was not steamed) I have discovered two “new” bites. It seems that this nightmare will never end . . . Sorry you’re going through this. Having bed bugs is a lot of physical work, and it stinks to have to deal with this while having physical challenges. it sounds like you have a bad case of bed bugs, but I assure you that with proper treatment, both from you/cleaners and the PCO, it IS possible to get rid of bed bugs. Please make sure the new PCO comes every 2 weeks or so, persistently, until all bed bugs and itching are gone. I hope the FAQs have helped in terms of seeing ways to better deal with clothing. You must keep clean clothes bagged in fresh bags; you also must not sort them on your futon. I know you know that now and I hope it helps. I am sorry this is such a hassle. we have had ongoing problems with bb. couple of questions/thoughts. any ideas for treating electronics since most pco’s won’t treat. esp, large items(computers, TVs, all accompanying wires and even cable box). we have young babies and were told cribs/all babybelongings cannot be treated. how should we proceed? were told by pco to check everything but somethings are very difficult to check. 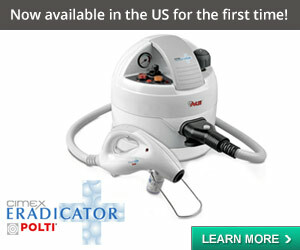 we hate to buy all new stuff until the problem is eradicated(we’ve had 4+ sets of treatments. finally, how do we handle our pet-we have heard many different things(ie-they can be bitten or they are not bitten, just carriers) we have a cat and it’s difficult to groom her (she’s mean) but we have used frontline on her as per vets recommendation. any thoughts? Sometimes the recommendation for electronics is simply that any bedbugs harboring in them will need to emerge to feed and so will meet their deaths eventually, assuming proper treatments elsewhere in your home. Depending on where you live, commodity fumigation or thermal treatments may be available. Your PCO should advise you. 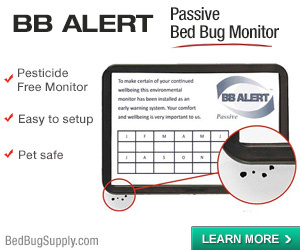 Many people don’t do anything special with their electronics and still beat their bedbugs. Steam may be used for furniture and in rooms where children sleep. There are also safe products (non-residuals that kill on contact only) that people with children have reported their PCOs use. Simple cleaning and washing wherever possible should also probably play a part. Pets can be bitten. There is unfortunately nothing that will prevent this. If there is a special/frequent resting spot, consider inspecting and cleaning it frequently. If your PCO is not advising you on these matters, you may need a PCO who is more experienced! You can visit the forums (blue button above right) to interact with others who can offer advice and support. thanks for all the useful info. we’ll follow-up with our pco. 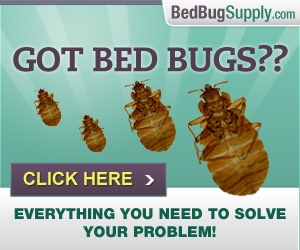 I saw the picture of bedbugs and said, “That’s it!”. I thought at first it was mosquitoes, then my doctor tried to tell me it was from using an old razor to shave me legs, but hello!my nine year old daughter has them too and she doesn’t shave. We are very low on money how do we get a PCO to come to our apartment and how do we prepare for it? Depending on your circumstances and geographical location, if you rent, the landlord may be liable to pay for treatment. It’s important that neighbors are inspected and get treatment too if need be. PCOs should give an instruction sheet with specific details of how to prepare. It’s important not to clean or move things before they inspect (some others have cleaned their evidence away). I wonder if we could put a rat inside a small cage, then put a ring of DE around it and leave it in an apartment as bait for bed bugs for a few days while we’re not in there – to draw them out through the DE to die. Then of course the poor thing will get bitten and you’ll be left with a rat you have to take care of. But at least it would be cuter than a bed bug, and bite you less. Fear I may have a bed bug infestation but I rent a room in a NYC apt, so my only recourse, if I have the bugs is to move b/c I could treat my room but they would still be in the apt, on the rest of the floor, etc. I believe infested mattresses set out in hall are to blame. 1. Is there anything that can be done to contain this while I work on moving? I don’t want to be covered in bites constantly or get sick b/c of it. But it is costly to move and it may take months for me to find a place and go. 2. What steps do I take upon moving to avoid taking them with me? I would not take the mattresses, as they are not mine and would discard all bed clothing and pillows. But what else must I do? Much of my work clothing is hang dry only. Does anyone have any experience with treating clothes that say this on the label? What do you all suggest? Shae, you really don’t want to move and take them with you. Unfortunately, people take steps and still manage to do it everyday. 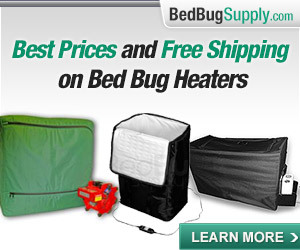 It is highly unlikely that bed bugs are only in your room. They are likely to be in the apartment as a whole AND in neighboring units too. If neighbors are tossing infested mattresses, it’s time the landlord knew. If the landlord knows and is not acting, then the tenants can call 311. I rent a room illegally, as in, the man who rents the room does not want to cause attention to himself in ANY way. I am sure they are prob in whole apt and on whole floor and maybe whole bldg. but I don’t have a lot of choices here. I am not a typical renter with a lease. I could tell my landlord, and he honestly prob will not tell the building landlord b/c he is renting the room illegally. If I call 311, I get the guy who is renting me the apt AND myself in trouble. I completely got it, and I am sorry, Shae, that I was not clear enough. I did not say YOU should contact the landlord or call 311. I said you should tell the person you are renting from, who (as the legal tenant) must tell the landlord. If the landlord knows and is not taking effective action, that tenant should call 311. Have you told the person you’re renting from? They have a right to know. And they are obliged to report the pests to the landlord. Moreover, they need to protect their apartment, which I assume they will want back some day. It will be useless to them if bed bugs are allowed to proliferate. I don’t see why, in notifying those who need to take action, the landlord necessarily needs to find out you are subletting illegally. You could simply be a “house guest,” even in the absence of the tenant. Please advise what do do with shoes prior to POC treatment and then thereafter? Should I store ones I won’t wear for a whie in a ziplock up in our attic where temps are extreme (hot, hot, hot in summer and frigid in winter)? You can — and this is key– consider where they are. How serious is your infestation? Have you seen one bug, none, five? and computer chairs are common problem areas). Did you wear them in the house? Shoes stored where bed bugs are more likely to hang out would be in more danger. You should ask the PCO what to do. They have different approaches. 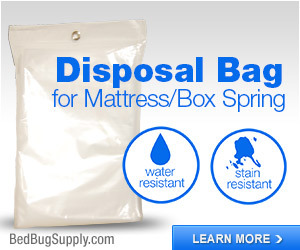 They may ask you to bag them and then open them up for a subsequent treatment, with the idea that if bed bugs are hiding in them, they will come out, cross poison and die. For the cross poison part, you and the PCO need to be on the same page with this, so that’s why I suggest you ask their advice. We just got notice that bedbugs “may” be in our apartment building and we are being treated “as a precaution”. We are being told all the usual stuff: clean everything on hot and dry on hot, seal it in plastic bags, etc. My roommate feels that he is unjustly being told what to do and he doesn’t like to be bossed around. To make it worse, they included in the letter that the lease specifies that if we aren’t ready and the treatment to the building can’t be done, we are responsible for all costs for our building, and other buildings if it spreads. That makes my roommate feel like we are being threatened. He is saying that he knows we don’t have bedbugs. He hasn’t seen them and he has seen no signs of them. He is also fixated on the letter stating the treatment is a “precaution”. So, he is refusing to cooperate in any way. He will not do any drycleaning, he will not empty his closet, I’m not sure he’ll even do his laundry and seal it. If bedbugs are in the building but possibly not in our unit, how much danger are we in of getting bedbugs in a building getting treated if my roommate doesn’t follow their instructions? I’m wondering if the building isn’t outright infected and the “precaution” talk is simply an attempt to control liability. If my roommate can’t be talked into cooperating (other than hiding his clothes so we aren’t responsible for the building’s treatment) how much danger am I in for getting bedbugs? Bed bug treatment is costly. No landlord would treat a BUILDING unless there WERE DEFINITELY bed bugs in the building. Most landlords won’t even treat an apartment without visual evidence in that apartment. In most locations, it’s also illegal to treat as a precaution. My guess is that pest control may be working on the assumption that they spread to a lot of units. Or they may have seen that on the other side of your wall is a terrible infestation, likely to have reached you or to do so soon. Your landlord must be facing significant bed bug infestations, and probably ones close to your apartment, likely to have spread, or s/he would not be doing this. Your roommate needs to understand how very difficult it can be to detect bed bugs at the earlier stages (and for quite a while, in fact). Many people do get bitten and don’t react to bites. He may already have bed bugs and not know it. I am not trying to be alarmist, but it happens all the time. Some people have serious infestations they don’t notice until they see bed bugs crawling everywhere by daylight–really serious levels. Not only might you already have bed bugs and not see them, but if everyone else is treated and you’re not, then yes, there’s a chance they might spread to you. Also, would not prepping make you liable for treatment of your unit and the building? I have no idea of the legality of this. However, I will tell you that tenants have been evicted for not cooperating with preparations for bed bug treatment. Having to pay for a building to be treated is much worse. I don’t know how big your building is, but this would cost a fortune. The bottom line is your roomie needs to cooperate. 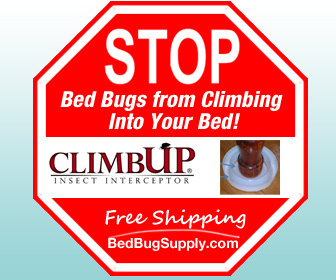 Be glad you have no idea if you have bed bugs or not, and hope you don’t ever get them. It appears you are being threatened, and I don’t know what kind of law or muscle is behind it. I do know most landlords will do anything to avoid treating whole buildings. It costs a fortune. If they’re doing it, they probably HAVE to. I just moved into a new apartment about a week and a half ago, and now I am completely covered from head to toe in bed bug bites! I found a dead one in my bed yesterday and squished a live one. We didn’t have time to fully clean the place before moving in, and the previous tenants hadn’t yet moved all their stuff out, so we ended up putting all of our furniture, boxes, bedding, garbage bags full of clothing into one room. That’s the room I’m currently sleeping in. I have a futon bed (low to the ground, wood frame), which I’ll have to do a number on. My landlord says he’s got a pest guy he can call, but says that we’ll have to pay $150 for the service – he thinks bed bugs arise from bad hygiene – can somebody please prove him wrong? I’m usually very clean, but the previous tenants were pretty messy. I refuse to pay for this. What are my rights??? Until the pest guy comes, I’m scared to sleep in my bed, and don’t know where else to sleep to avoid getting bitten again. What should I do in the meantime?? Also, do bed bugs hide out in cardboard boxes?? How could I disinfect those??? Like I said, virtually all of our belongings (4 peoples’ stuff!) is in this one room (where I’m sleeping) – and the bugs could be hiding anywhere! This is going to be quite a job getting rid of the bugs!! Any tips? Look into the rights of tenants where you live. It may be the landlord is telling you tales, and you may be entitled to treatment at his expense. At our first treatment, the PCO said that it was a very light infestation. In total, we caught 2 dead bugs and 2 live bugs before the treatment. The PCO came to spray for the 2nd time last Thursday. He said he didn’t see any evidence of activity in the bedroom furniture or around during his inspection. He told me it was okay to start putting my clothes back in the closet. So…I started to on Friday. Then Sat. morning, I woke up with several bites on my arm. I also found a dead bug in the doorway of the bathroom which is a few ft away from the bedroom doorway. I am thinking that I did wake up itchy on Sat morning and go to the washroom to inspect. Found the bites – I think the bug might have been in my PJs and fell off? Anyways, now I am nervous about the clothes in my closet. I contacted the PCO company on Monday. They said a dead bug is good news. They said that it takes a few days, maybe a couple of weeks to kill off the bugs. But, what about my clothes? Should I continue to be living out of plastic bags until they are gone for good? But when will that be? Another site advised that it’s safe to hang the clothes, but keep them away from the walls. But what about the shelves? I am so confused. Any advice you can offer would be great. thanks. I have to say, I personally err on the conservative side as far as bagging clean clothes and living out of those bags. Every Bedbugger does not agree, and PCOs may not be as cautious. My personal opinion is it cannot hurt to be cautious and it can help. You have to decide if you want to follow the PCO’s advice, which may be enough, or if you want to re-wash and bag all the stuff. You may decide not to for the next two weeks and see how it goes. Please keep getting treatment at two week intervals until you have no bites and no sightings of live bed bugs. We have a bad BB infestation in our NYC apt. I don’t want to go into a long story but it went unidentified for at least 2 months although we were getting “bitten” every night (I’ll elaborate for anyone interested; in essence it was multiple misdiagnoses). We then sent a certified letter to our landlord and began vacuuming, spraying, drying clothes, etc. As of this moment I have no idea when we’ll see a PCO. Anyway, we’ve run the clothes we intend to wear in the immediate future through the dryer and sealed them in Ziploc bags. My question is this: once we wear an item out of a “clean” bag, what do we do with it? Put it back in the clean bag? Put it in yet another bag labeled “suspect?” Wear it once and throw it in the quarantened bag? Is there a way of making a “safe zone” by somehow “bombing” a closet where we can get another day or two’s use from the garment? And, related to clothes, can I spray a garment, let it dry, then wear it? I’ve seen both yes and no answers. My question is this: once we wear an item out of a “clean” bag, what do we do with it? You can either put it in the laundry bag, or you can consider one of the options below. If it was ONLY worn outside the home, you might get away with doing so again. But wearing inside the home means it has been exposed to bed bugs. Put it back in the clean bag? NO. Never. It is not clean. Wear it once and throw it in the quarantined bag? A “half-way house” bag, where you place once-worn items, is an option. I would only re-wear them within a day or two, in case there are eggs in it. 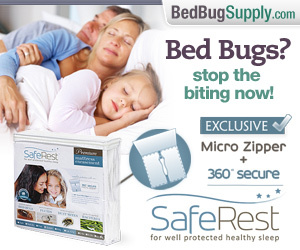 I would not assume them to be bed bug-free. If worn only outside the home (ie you change on coming home), it might help you get more use at work. Keep in mind that sealing worn items into a bag can mean that smells are accentuated. I placed a dry worn winter’s coat in a sealed ziploc on coming home, and found little lavender sachets from Trader Joe’s (probably available lots of places) helped reduce this problem. Obviously, never bag anything damp from rain or sweat. It will smell and will not dry. Is there a way of making a “safe zone” by somehow “bombing” a closet where we can get another day or two’s use from the garment? Do not bomb. Bombs can spread bed bugs. And anyway, what’s the point of making a “clean zone” for a possibly infested item? A ziploc would be no different. And, related to clothes, can I spray a garment, let it dry, then wear it? 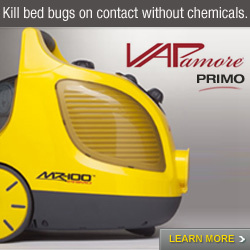 You could thoroughly steam it, and this should kill any bed bugs that have climbed inside, or their eggs. But remember that after steaming it, if you hang it in your home to dry, it could possibly be exposed again. It is hard to be certain it is bed bug-free. I am on the “middle” of treatment for the critters here in Atlantic City apt. building. I feel I’ve had much success so far.I started by locating the main infestation(hopefully) in my boxspring and disposing of it. I still had 6 days till the exterminator, but I tried treating them myself with 91% rubbing alcohol. the alcohol kills the live bugs on contact. (I saw it happen! )I went on a spraying spree (about a case of alcohol and a spray bottle) and I feel quite relieved. so far the coast is clear. tomorrow I will repeat this procedure, and each week for 2 more weeks.when the bug guys came, they seemed impressed by my efforts and saw no current activity in my unit.they will be back in 2 weeks. I cannot stress how important spraying with all that alcohol and seeing the carnage I have caused to them myself has relieved most of my stress about these BB’s.I sleep comfortably now. There really is no noticable activity.If for whatever reason I feel a little buggy, I break out the spray bottle and get busy spraying the furniture, floors, clothes, beds, whatever. let it air dry,(it evaporates), then vaccuum.It really does work, and it gives you some control! Yes, kimeowmeow, 91% alcohol is an effective contact killer (meaning it kills bed bugs you spray directly). It is good you are getting professional treatment, since it is almost always impossible to find and directly spray all bed bugs in your home. Be careful not to spray alcohol in areas the PCO has treated with a residual pesticide; you would not want to wash it away. Most of my clothes I never wash in even warm water, and line dry because otherwise it will shrink! Also, I have a number of dresses etc that I would just not put in the wash. I don’t trust taking anything to the drycleaner to get rid of the bugs though. Is it reasonable to bag some things for 1.5 -2 years (I am willing to do that cause I hardly wear those dresses) rather than ruin them. More importantly what do I do with stuff like sweaters and jeans that are going to shrink if I wash/dry on hot??? Even if I were to dryclean once I can’t be doing that after every wear. Please help! The PCO will come to inspect my house later this week but their only suggestion so far has been “every single item needs to be washed and dried on hot”. It’s like someone else said – I might as well throw it out because if I do this to most of my clothes they will be unwearable. Keep in mind that studies show drying alone will suffice, and does not need to be long (if items are dry). It does not sound like your PCO was aware of this research. A lot of items which WILL be harmed from washing and drying will nevertheless survive drying alone for a short period. If you want to discuss this further, please come to the forums. Button at top right in sidebar. We got our first treatment yesterday and plan on living out of bags until our next one in two weeks. I have questions though about the best way to do this/what the rules are for clothes. Everything has been cleaned properly and is in sealed bags, so today I got dressed with clothes out of my sealed bags. Not today when I go home do I have to put everything in my dirty clothes marked sealed bag? Or can take off my jeans (put them where temporarily?) and wear them again tomorrow? Can I rewear pajamas — the ones I wore last night are in the dirty sealed bag…so do I just keep wearing clean ones every night? Everytime I wear something from a sealed bag does it have to get washed/dried on hot/hot? Our clothes survived the first bout of this, but if we continue for another month…not sure they will make it. Also, all of our clutter (books, papers, DVDs, etc., figurines, decorations) were vacuumed thoroughly and put in plastic storage bins, sealed with duct tape before our treatment. We are going to leave them like that until our 2nd treatment. The PCO said that would be good because he can treat more of the apartment again. But after that 2nd treatment, should we open the boxes and reintroduce the clutter so that if there is anything in there they can be drawn out and go to the poison and die…or does it not work like that? Sorry for such a lengthy post, but I feel like we prepared so well for our first treatment, but now are kind of stuck in this phase and aren’t sure the rules…what to do on a daily basis. I apologize: this FAQ is not the most up-to-date word on clothing. Please see SgtBB’s comment and my reply above, which I think address your questions about re-wearing clothing. This is an old FAQ, from November 2006. Some more recent data has changed our recommendations for how to deal with laundry. Please read what’s below, but go to the dryer FAQ to get the most up to date information on laundry. 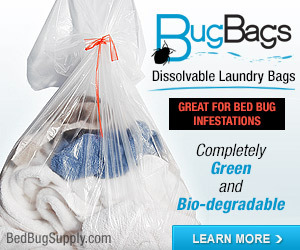 And the news is good: studies have shown it is not as hard to kill bed bugs and eggs in laundry as we used to think. Removing stuff from boxes is fine if you are continuing to get treatment after this until all bed bugs are gone. I would not assume this would take a certain # of treatments (eg 2). Please, I need to have very detailed instructions on how to fully prepare for a PCO if and when the manager finally sends one to treat my apartment. Also, because I as yet still have no date, how long can my apartment be kept in that prepared state? And, if everything is put in the middle of the room, how does the middle get debugged? Oops, it looks like my question came up as a reply. Please advise on how to do it right. You need to get prep instructions from the PCO–they do not all have the same requirements and expectations. Remember not to prep unless they ask you to– many PCOs will want to inspect a home as is before treating. If they tell you to put everything in the middle of the room, it probably won’t stay there for the full course of treatment. Ask them. My parents are coming over to my apartment to help wash my clothing, any advice as how to prevent them from taking the bugs back to their home? Read the FAQs listed under travel, which will be of relevance (they’re really about avoiding moving bed bugs from place to place). Does anyone know if viynl storage zipbags are just as good as the ziplock bags. I was not sure and as a precaution, I took my bags (vinyl) of clothing and put them in a plastic container. Also the bags had rope holes, so I cut out the rope and taped the holes inside and out with duct tape. No– not if they have traditional type zippers. You’re right that rope holes are also a problem. Tape works to a degree but I personally would not trust it to stay on. And make sure your plastic container back-up containment is airtight. First instar bed bug nymphs are 1 mm long. That’s really small. Thank you so much for both comments. It seems everytime I try to do something right, I always get knocked back down, but now I feel better now. PCO came out about 13 days ago and is coming again tomorrow. The first time he told us just to wash what was in the drawers and not what was hanging. The problem is that I just found 4 bugs today and a few on the sticky traps he left. I obviously am rewashing everything. Should I include what’s hanging in the closet too? I’m so confused. After washing the items from the drawers, did you put them back IN the drawers? You should not do this. Keep the cleaned, dried items bagged until you are sure your problem is over. It is a judgment call whether you need to do everything in the closets. If this is just your second treatment (and 2 weeks later is about right) then that is the most important thing. But I would only wear fresh clean clothes from a bag when leaving the home (not things I was sitting around in). 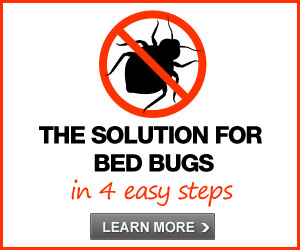 Read the FAQs on how not to spread bed bugs (in the travel section). In Nov., I discovered BBs. PCO was called in, clothes were bagged/laundered according to tips on this website, then re-bagged, room was vacuumed, bed pulled away from walls (although hard to do in tiny NYC apt), double-stick tape wrapped around bed legs, etc, etc. I lived out of XXL Ziploc bags for a month then relaxed. A month later, Jan. 28: woke up with 2 bites in a row on my foot under the sock I’d worn that night. I immediately began repeating the process even though I found no bugs or signs ANYWHERE. My roommates (who are on opposite side of apt.) have never been bitten and I don’t spend much time in communal areas. Should the entire apt. be treated or just my room? My mattress/box spring are already encased from the last time, so now what? I’m currently experiencing bad asthma symptoms from cold, do I really want chemicals sprayed in my living space? Any other tips for sophomore BB-victims? I would add that while it is best to have a PCO carefully inspect the entire apartment and find all bed bug harborages and ONLY treat infested areas, we hear most PCOs do not carefully inspect (a process which will take more than an hour and maybe several depending on size of apt. and amount of stuff. Another inspection option is a bed bug k9 inspection team. If the PCO has a policy of not inspecting carefully, then the entire home probably will need treatment. You absolutely should not be assuming roommates’ rooms are not infested just because they do not have any bites. Many people do not react at all. If you want to continue the conversation, please come to the forums! Thanks. the best way to get rid of bed bugs is to paint neem oil(extracted from neem leaves) using a brush on all solid surfaces eg wooden cots,chairs.this must be done every 2 or 3 days for at least a month.neem oil is easily available in india.i have tried this and it worked for me…. Actually, sarah, we’re concerned because proponents of neem claim it is a repellent. Repellents don’t necessarily make bed bugs go away (i.e. leave your home), but they can make them dig in deeper and thus make them more difficult to get rid of. We hope some entomologists will field test neem, so we can get a better sense of how bed bugs react. At this point, I’m not confident that it’s a good idea. My family moved into a home with no signs of BB in our previous apt. Me & My Children started having bites, and assumed it was fleas from previous tenats dog. Long story short, out of 3 bedrooms 1 bedroom in particular was housing the BB infestation. We followed terminix instrucitons, and ended up moving. I’m now finding bites on me, and a couple bugs here and there. (So far only found 10 bugs since FEB) What should we do? I’m at a point of frustration i’d like to toss out EVERYTHING that can’t be heated to 140 degrees, and just start fresh and buy new stuff. Any Suggestions?? I would not toss things out. 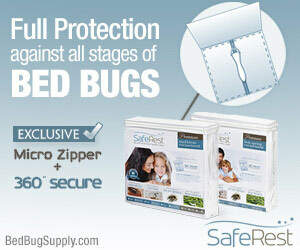 It does not necessarily get rid of your bed bugs and often is not necessary. You need to treat your new home. Please repost your question in our active user forums if you would like to discuss this further and get feedback from more people. Previous post: Maya Rudolph’s former loft (again): bedbugs ADD value!